It has been awhile since we have had a chance to put up a new post. Things have been busy at Puccioni Vineyards. THE 2004 Old Vine Zinfandel will be released in August 2006 - get your orders in!!!!!!!!!!!!!!!! As you can see we have a group of very tired guard dogs - Muddy and Habu - that make sure no one gets too close to our Old Vine Zinfandel grapes. 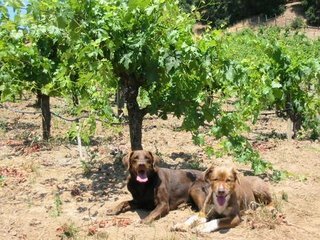 This is the OLD BLOCK with 100 year old vines - so these dogs need to be on their toes (you can see we added drip recently to the old block - we only use it once or twice a year during heat spells - we needed it this year). Things look very good with our old vines - they are growing well - we have suckered each vine removing unwanted shoots to open up the vine to light and air and reduce the crop - we have also gone through by hand and removed laterals in the fruit zone and removed wings on the clusters. Wings are parts of the Zinfandel cluster that can lead to too much congestion in the vine and cause uneven color - removing the wings help improve the quality. Also as we are getting excited about the quality of fruit that will come off our old vines we are also replanting parts of our ranch - as we tend these young vines we are very excited about the great fruit we will get off these new vineyards in a few years. It is all old clone Zinfandel and we are also putting in a small sections of Alicante Bouchet and Petite Sirah. All varieties we have grown on this property for over 100 years. 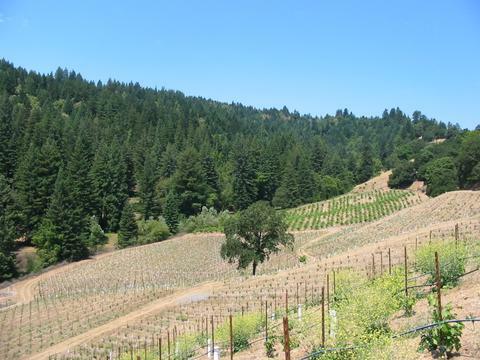 Here is a picture of the young vines in the foreground and the OLD BLOCK Zinfandel in the back. We know you will be enjoying new Puccioni Zinfandel from these new blocks in a few years - All the hillside blocks will be head trained - just like we have always done at Puccioni Vineyards - we can't wait to taste the wine!!!!!!!! 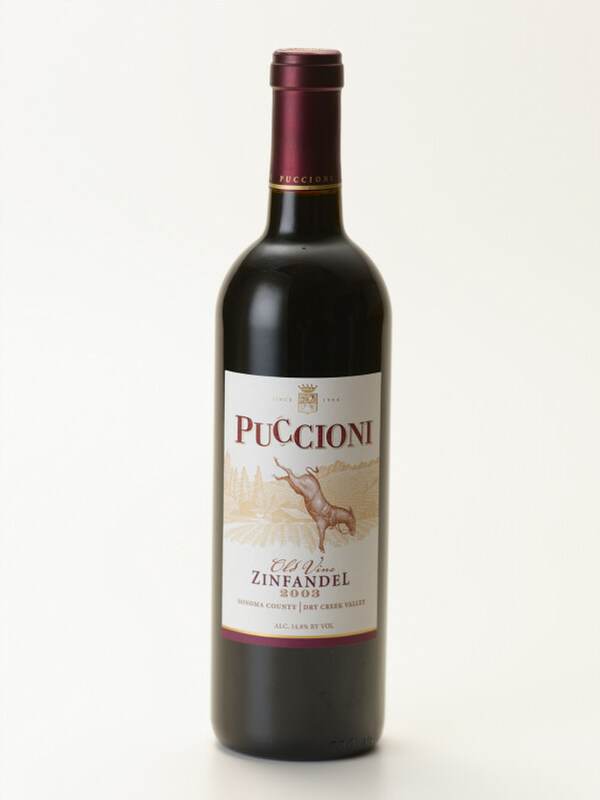 Thank you for supporting Puccioni Vineyards and being stubborn about our wine.